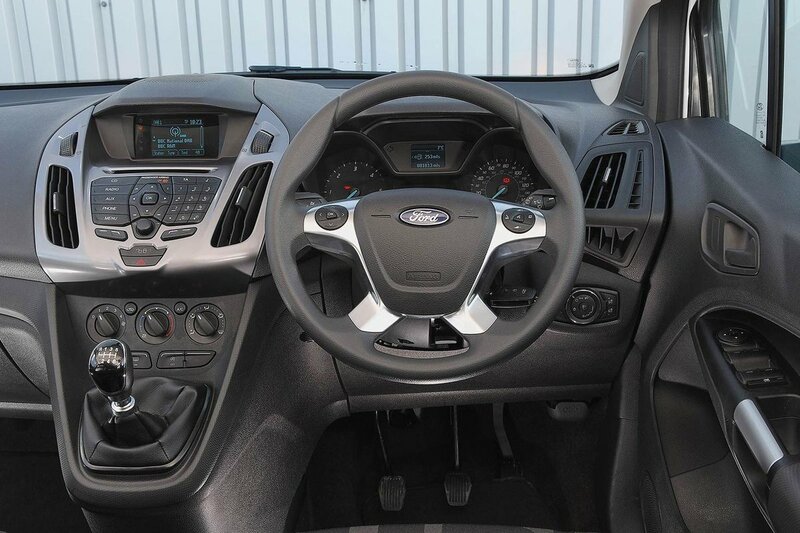 Ford Tourneo Connect Interior, Sat Nav, Dashboard | What Car? 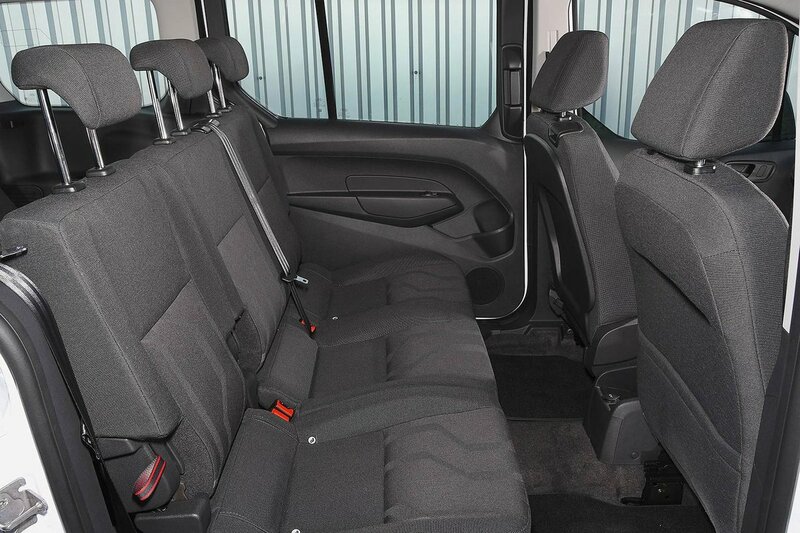 The rather sit-up-and-beg driving position of the Tourneo Connect feels comfortable, as does the soft cushioning on the driver’s seat when you’re simply bowing along in a straight line. However, the seat doesn’t have much side bolstering to keep you in place through corners, forcing you to cling on to the steering wheel for stability. Seat height adjustment is standard, along with steering wheel rake and reach adjustment. Both are extensive enough to accommodate most shapes and sizes. The halogen headlights aren’t that bright at night, but with so many tall panes of glass to see out of, the Tourneo Connect is both airy inside and provides good visibility when parking. However, despite the twin-glass door mirrors, which are meant to help with blindspots, on the motorway it’s still really easy to miss cars on your flanks if you’re not ultra-vigilant. 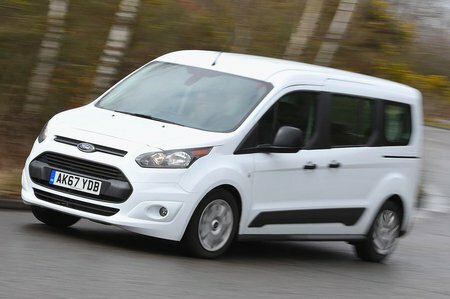 Vigilance is also required to operate the entry-level Zetec model’s infotainment system. That’s because you get a button-heavy dashboard and a tiny 3.5in monochrome dot-matrix screen that draws your attention from the road as you try to operate it. It’s a far cry from the modern touchscreen systems you’ll find in a Volkswagen Touran, Citroën Grand C4 Spacetourer and Renault Grand Scenic. If you upgrade to Titanium trim, you do at least get a more recognisable 6.5in colour touchscreen system. Even this is nowhere near the slick VW system in the Touran, though. Another area where the Tourneo Connect’s humble origins stand out like a soup-slurping diner at the Lord Mayor’s Banquet is quality – or the lack thereof. The plastics are harsh and cheap-looking, with the gaps between them often relatively large, and the buttons and switches operate with the smoothness of a 10lb club hammer. Consequently, it’s hard to think of rivals that don’t beat the Tourneo Connect for plushness.